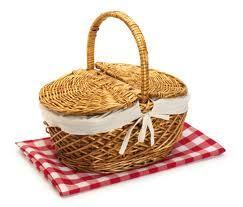 Picnics are fun, delightful, adventurous, and relaxing. Unless your blanket flies away, spilling your food and making a horrible mess. Then they’re not so fun. Then they’re more of a pain. So when I stumbled upon the idea I’m about to share with you, I just had to share it with you. I love how eloquent my sentences are. Anyway, it’s called the Windproof Picnic Quilt. Go check it out! And have yourself a picnic. This entry was posted in Just for Fun, Organizing and tagged picnic. Bookmark the permalink. YOU are the sweetest thing! Thanks so much. And I hope you’re recovering well.